In early December 2017, Brazil's government established a committee to monitor and possibly order the blocking of false news reports on social media ahead of the 2018 presidential elections. The news has raised concerns about censorship among the public. The “Consultative Council on Internet and Elections” will operate under the auspices of the Superior Electoral Court and includes representatives from the Court, the Ministry of Justice, the Ministry of Science and Technology, the army, the national intelligence agency, the federal police, SaferNet (a Brazilian non-governmental organization (NGO) that combats online crime in partnership with the Federal Public Ministry) and researchers from the Getúlio Vargas Foundation (a private university). In its first meeting, the Council proposed to create a tool through which users could file reports to the Council itself of news that appeared suspicious. This would work as an extension of existing hotlines and website forms where voters can submit complaints to report irregularities in traditional media. The Council has not yet further explained how the tool would operate in terms of asking social media companies to remove news deemed false or targeting people and groups that post false news. Members say they are negotiating support from social media companies, but it remains unclear where this will lead. 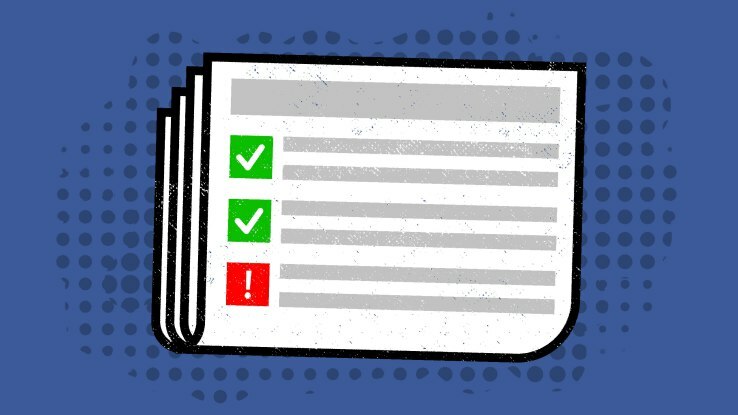 When Facebook introduced a “report fake news” feature in December 2016, it showed that many users reported fake content as part of an effort to discredit information or ideas with which they disagreed, even when those ideas were based on verified facts. This move comes amid deep political uncertainty in Brazil approaching the 2018 elections, which will be the first ballot following the controversial impeachment of president Dilma Rousseff of the Workers’ Party in 2016. The party's de-facto candidate for 2018 is former president Luiz Inácio “Lula” da Silva, who leads the presidential polls at 34% and has spent the past few months touring the country rallying crowds despite having been sentenced in July to nearly 10 years in prison for accepting bribes from construction companies during his term. A court is expected to rule on his appeal on January 24. Large-scale corruption investigations have convicted dozens of politicians in the past three years, opening the grounds for outsiders and far-right candidates like Jair Bolsonaro, the federal deputy and former military officer, notorious for homophobic diatribes as well as tough-talking on criminals and drug-dealers. Should Lula's conviction be upheld, a fragmented, polarized and heavily disputed electoral landscape is expected. The committee is only one of the immediate outcomes of the Superior Electoral Court's current preoccupation with ‘fake news.’ The judges have openly defended the creation of additional legal mechanisms to suppress reports deemed as false. As Forças Armadas não podem monopolizar o controle da veracidade dos fatos porque 1) não possuem essa competência constitucional; 2) não têm as condições técnicas para isso; 3) não detêm o conhecimento para distinguir fake news; e 4) não são neutras na política. Para piorar, essas instituições deixaram violentas e profundas marcas na história recente do país ao promoverem o cerceamento da liberdade de expressão e de manifestação dos brasileiros/as durante a ditadura civil-militar. The Armed Forces must not monopolize control over the veracity of facts because 1) they do not possess that constitutional authority; 2) they do not have the technical capacity for this 3) they do not possess the necessary knowledge to distinguish fake news; and 4) they are not neutral in politics. To make it worse, these institutions have left violent and deep scars in the country's recent history by promoting the curtailment of freedom of expression and public demonstration of Brazilians during the civil-military dictatorship. The creation of the committee by the Superior Electoral Court was also mentioned in a collective statement signed by 38 organizations from Latin America and the Caribbean as an example of how the discourse on fake news can be used to restrict free speech. We cannot discount years of work and debate from the movement for democratization of communications and adopt the “fake news” terminology as a completely new phenomenon in Latin America. To discount old and new power imbalances concerning media ownership concentration, social media monopolies and Nation States political interests to control and manipulate speech — within and beyond its borders — opens space for serious consequences.